John Wesley was fond of All Saints Day. "John Wesley. Stipple engraving by J. Posselwhite" licensed under CC BY 4.0 via Wikimedia Commons. 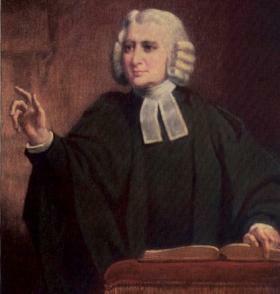 Charles Wesley wrote hymns that express his theology. 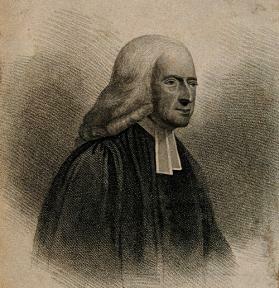 "Charles-Wesley-preaching" by William Gush, public domain, via Wikimedia Commons. and shout to see our Captain's sign, to hear His trumpet sound.